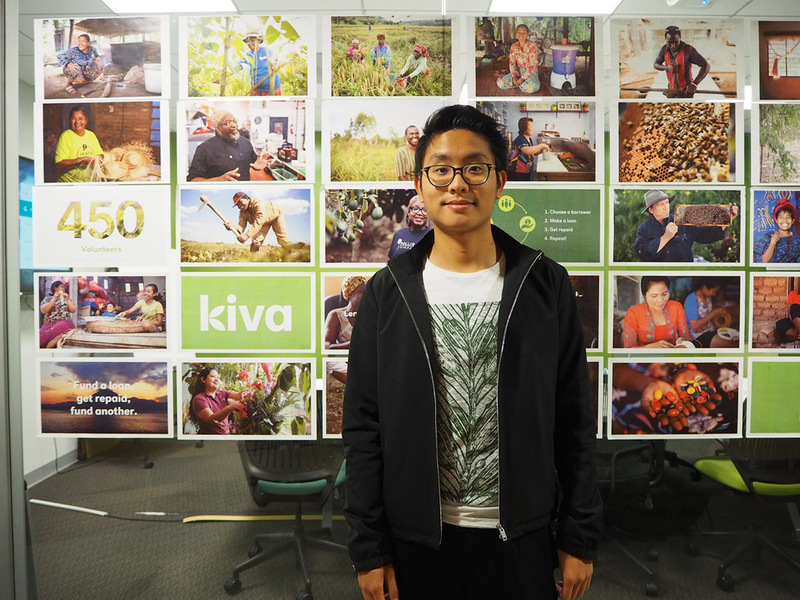 Kiva loves to celebrate its interns and the meaningful work that they accomplish every day. 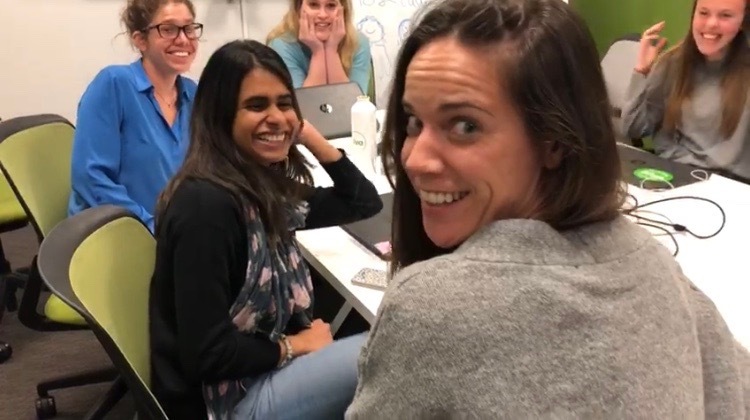 Now past their mid-internship point, we sat down with a few of them to hear about their work and how their time at Kiva has impacted them thus far. Read below to hear how Kiva interns are working to become the next generation of social innovators. I wanted to get more experience in international development and wanted to go to grad school, and Kiva is a big name in development. I found out about Kiva through a student-run business organization at Berkeley, and they held a Kiva workshop that I went to. Tell us about your favorite Kiva moment. My responsibilities include doing research on impact models, so reading a lot of research papers. I've also been helping my director, Goldie, do grant analysis. She's really cool. I like doing the impact model stuff, because I did a ton of research in school, but not specifically into microfinance, which I didn't know a lot about before. I'm learning about the specifics of different aspects of microfinance and microcredit. What’s something new you learned about Kiva while being here? What I enjoy most is working in a big, professional NGO office environment. I'm learning how to cooperate in a professional setting. The academic consensus on microfinance is that providing credit to individuals who need it doesn't do much, but at Kiva I'm able to see why and how Kiva is changing that. I have a basic role in the organization, but am able to look at it more broadly and really understand the work that we're trying to do. 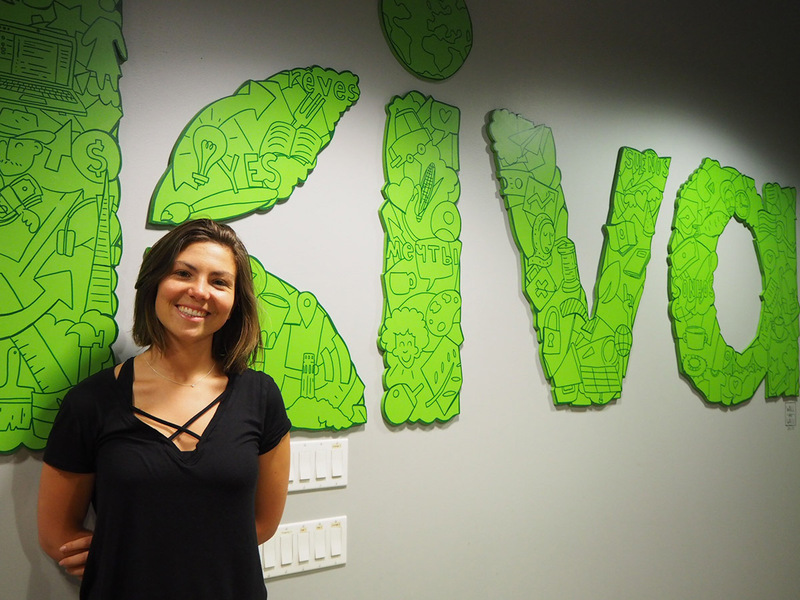 What makes working at Kiva unique? We have a really relaxed working environment here. It's so different from where I interned before, at a large consulting firm, because there they were very structured in what I was allowed to do and ask questions about. At Kiva, even as an intern I'm allowed to learn a lot about really high-level stuff just by talking to my director or having meetings with others. I was exposed to microfinance when volunteering in Bangladesh for International Citizen Service (the UK equivalent of the Peace Corps). We worked to set up small, grassroots businesses for marginalized women and youth. The NGO I worked with while I was there was an MFI (microfinance institution). I also got exposed to microfinance a lot through my masters program, and I wrote my dissertation on MFIs. We talked about Kiva in my master’s program. 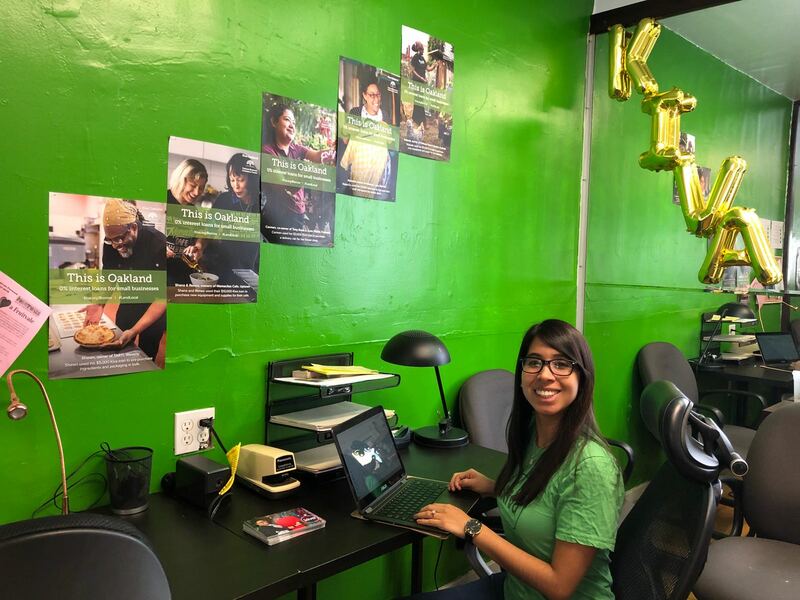 When I found out that Kiva was located in San Francisco, I realized it would be really convenient for me if I got accepted into the internship program. The universe was telling me to go to Kiva! I’m never going to forget the email chain going around the office yesterday. A Colombian direct social enterprise loan was about to expire, and a Kiva staff member noticed this and emailed the rest of the office. I loved how all of Kiva came together to raise the loan collectively, little by little, +$25 +$25. That was very Kiva to me. I'm sure everyone says this, but the culture at Kiva is what makes working here unique. Being an intern at Kiva, I’ve received such wonderful support. I have people asking me to go get coffee, and they’re really interested in what I'm doing next and invested in me. They always said that was a part of the Kiva internship, but you think, 'Oh, there are so many interns in and out of that place, they must not take a lot of time with the interns.' But they really do. Anything else you’d like to share with a potential intern applicant? I'd highly, highly recommend it! You don’t have to be particularly interested in international development or microfinance. For me, it was perfectly aligned with my academic interests, but there are a lot of intern positions that allow you to learn many skills in many different ways. For example, you could learn about a business model, or how to work in an office, or how to be managed. In one of the first Fireside Chats with Angelo Fu, an Operations Manager for Kiva US. He told a story about being in his first work environment and it being really stressful. He emphasized that Kiva is a great jumping off point to be able to learn how to work professionally, how to manage your time, and how to deal with certain situations in a supportive environment. I wanted to work for an organization where I could make an impact while learning about the microfinance industry, and where I could be able to grow personally and professionally. I found Kiva and immediately fell in love with its mission and the organization. Before Kiva, I was studying for my MBA. I came to the United States almost 2 years ago to study and gain social impact experience. I think there is not just one moment, but many different moments throughout my internship. These moments include when I witness borrowers whom I helped apply get funded. These borrowers became relevant persons when I helped them apply and, as such, I felt extremely happy when they got funded — even more when my team worked until the last minute to get them funded. I never thought I would enjoy working so much. I feel extremely motivated everyday and mission-minded in an incredible place to work. I’m looking forward to keeping the Kiva love floating in the Kiva Oakland community. Kiva is a real family infused with Kiva love. It is an organization where everyone takes the mission seriously and with heart. You will be able to grow professionally and personally while helping people achieve their dreams. When I moved to San Francisco, I worked with the Mexican government doing economic development with a focus on startups in Mexico. I was in charge of making partnerships to help companies come to the United States or raise money or grow products. There, I felt like I was helping people, but not people who really needed help. When I was young, I did volunteer work. But things go very fast, and soon you start working and doing business and then there's this moment in your life where you ask, 'Why? Why are you doing this?' I knew Kiva's brand, and believe in micro loans, but don't believe very much in charity. I chose to work at Kiva because I believed what they're doing was amazing, and I wanted to take to a partnerships role with social impact. Which intern programming event has been your favorite? I like All Hands meetings, because they give me the chance to learn about other aspects of Kiva outside my team. I also enjoy the Global Partnerships week for the same reason. The Fireside Chats are very cool, too, because you get to know members of other teams. I loved the chat with Vice President of Marketing and Community Chelsa Bocci. It was great for career development. Everyone here loves what they do. I have not had this feeling in any other organization I've worked for. I feel like the employees here love the mission. And this has consequences for our work. Creating advertising, for instance, doesn't give me any happiness. Whereas Kiva helping a person get a loan makes you feel happy. When we post loans, I feel this way. This is the best moment of my internship: working in the Oakland office. When I go there, I meet the people, the borrowers who are on our website. And I get to go and help these people. There are people who aren't able to use PayPal to repay loans, for instance, because they don't understand how it works. They want to pay, but they can’t — they’re not tech savvy. So being there and helping them, because I'm a Spanish speaker, it means a lot. These people come into the Oakland office saying they have the cash to repay, and I have to help them with their profile. And they say, 'Thank you.' They're trusting you because you are actually helping them. I’ve been to the Oakland office a couple of times, and once, there were these 2 women, from Latin America, and they were the nicest women. They thought they had paid off their loans months before, but were actually delinquent. And we helped them through the process of repayment. They go through a lot, and they need these loans. If you see them, you understand.